Intergroup – January 2010 – Lincoln Nebraska A.A.
Kirk began the meeting @ 6:30. The AA Traditions were read by Virginia. Minutes approved for December 09. Ron R. (22) – Had meeting a week early due to the Area meeting. Four groups present. Discussed Area meeting items. Jim C. (21) – The last District meeting was held on January 10th. Eleven people were present at the District meeting. Discussed Area agenda items. Albert S. (29) – The last District meeting was held on January 12th. Treasury balance of $277.34. Four groups and 4 officers present. Voted on Area topics. Four corners workshop to be held on April 17th or 24th. Treasurers Report: Ray M. – The Treasury balance is $2058.68. Received $91 in contributions from groups. Thank you Monday Night Stag and Tuesday Night Step & Study for your group contributions!! Central Office Committee: Jim C. – Experienced a net gain of $2,176.98 for the month (Income of $6,166.91 and Expenses of $3,989.93). These are good contributions for the Month of December. Total office calls of 207, of which 4 were twelve step calls. The Central Office will do it’s annual inventory on January 16th. Lincoln AA Corrections Committee: Ron R.- Meeting held on January the 5th. Treasury balance of $219.98. CCCL, City/County Jail, and RTC meetings going well. Trying to deliver Daily Reflections and two copies of As Bill Sees It to RTC but experiencing some red tape. Hotline committee: Matt C. – The executive answering service received 83 calls in the month of December. Of these, 63 people wanted information. There were 17 volunteers that did not pick up. There were 15 calls that were patched through to AA volunteers. There were 8 volunteers that took calls. This did seem like a small volume of calls for December. 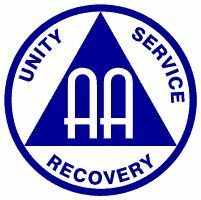 Thank you to all the AA volunteers that have signed up on the AA Hotline. Treatment Committee: Cody S. – The treatment committee is going well and right now is working on re-establishing contacts with the various organizations that the treatment committee works with. Website Committee: Ron E. – The new Lincoln AA website was launched on January 4th. Updated content on the website. Received 1000 visits to the website since January 1st with most visits to the meeting list. Received District report from District 21 for the January meeting. Special Events Committee: Matt C. – Reserved Bethany Park for the 4th of July Picnic. Please keep in mind that this is the same weekend as the International. Discussing possible bale speakers for the event. Meeting the 3rd Sunday of the month at the Hiway Diner at 1pm. Good attendance at the Alcathon and finished with a net gain of $113.61. There were 170 people for dinner at the event with 200 in attendance for the speaker and about 220 people attending the dance. Matt C. stepped down as the Hotline Chair. Thank you Matt for your truly exceptional service to Intergroup and to the greater Lincoln AA community in your capacity as outgoing Hotline Chair. Cynthia F. was nominated for the position of Hotline Chair and she accepted the position (thank you Cynthia). Becky R. informed Intergroup that she will not be able to accept the position of Intergroup Secretary. Jerry D. was nominated for the position of Intergroup Secretary and accepted the position under the condition that Brian D. agree to fill in if Jerry could not make it (thank you Jerry and Brian). Meeting closed at 7:05 PM, and we all gathered for the Serenity Prayer. On to February 10! The next meeting is February 26th @ 6:30 @ Willard Community Center-1245 S. Folsom St. Pleased to be at your service: Tony R.